Need something to satisfy your sweet tooth? Looking for a pre- or post-workout snack? 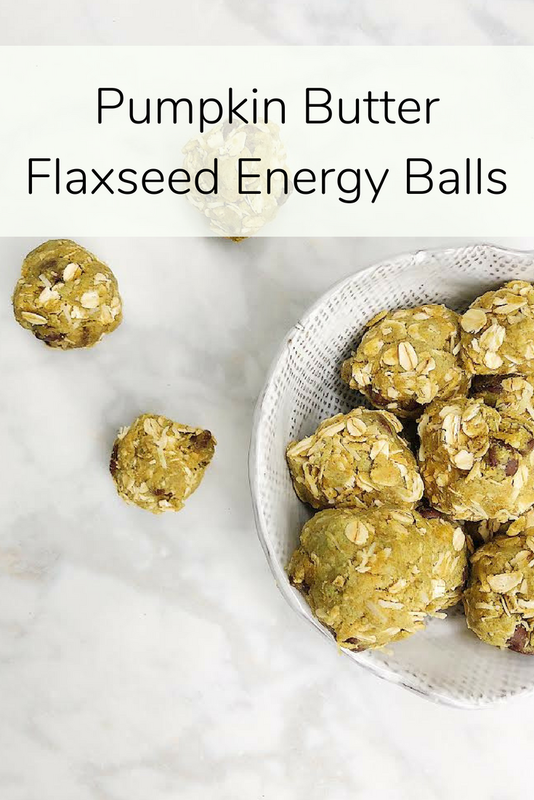 Meet: energy balls. A recipe that requires no cooking? Yes, please. I first discovered these on Pinterest and this has been my go-to recipe. But, a few weeks ago I was making energy balls to demo at a gym, and I couldn't use any products with nuts, so I swapped my Teddie's Peanut Butter (my go-to PB!) for 88 Acres Pumpkin Seed Butter. Manitoba Milling Co. sent me some smooth whole-milled flaxseed to use, along with a recipe similar to the one above. I simply swapped the nut butter and dialed back on the honey (aka sugar), and the energy balls turned out great! None of these companies compensated me for these posts, although I did receive free product. 1. Mix all ingredients in a medium sized mixing bowl. 2. Roll into bite-sized balls (~1 inch). 3. Lay on parchment paper on a baking sheet and store in the freezer or refrigerator. You can also skip the parchment paper and put into a tupperware or bowl. Or enjoy immediately!